Northumberland (pronounced , ) is a county in North East England. The northernmost county of England, it borders Cumbria to the west, County Durham to the south and Scotland to the north. To the east is the North Sea coastline with a 64-mile (103 km) long distance path. The county town is Alnwick although the county council is located in Morpeth. Being on the Anglo-Scottish border, Northumberland has been the site of a number of battles. The county is noted for its undeveloped landscape of high moorland, now largely protected as the Northumberland National Park. Northumberland is the most sparsely populated county in England, with only 62 people per square kilometre. 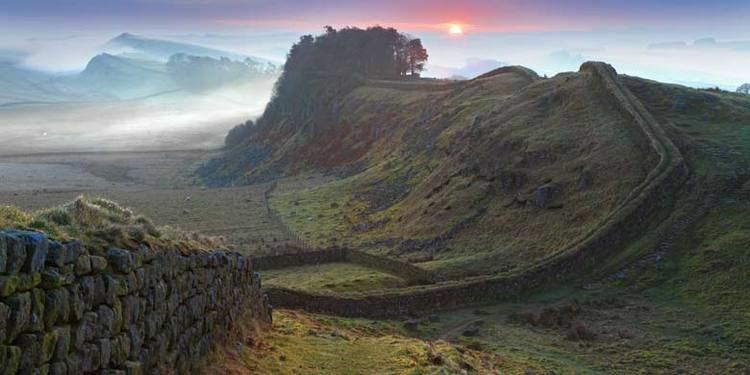 The area once formed part of the Roman Empire; later, as Northumberland, it witnessed much conflict between England and Scotland. As evidence of its violent history, Northumberland has more castles than any other county in England, including those of Alnwick, Bamburgh, Dunstanburgh, Newcastle and Warkworth. The region of present-day Northumberland once formed the core of the Anglian kingdom of Bernicia (from ca. 547), which united with Deira (south of the River Tees) to form the kingdom of Northumbria in the 7th century. The historical boundaries of Northumbria under King Edwin (reigned 616-633) stretched from the Humber in the south to the Forth in the north, though in 1018 its northern part, between the Tweed and the Forth (including Lothian, the region which contains Edinburgh), was ceded to the Kingdom of Scotland. Northumberland is often called the "cradle of Christianity" in England, because Christianity flourished on Lindisfarne - a tidal island north of Bamburgh, also called Holy Island - after King Oswald of Northumbria (reigned 634-642) invited monks from Iona to come to convert the English. Lindisfarne saw the production of the Lindisfarne Gospels (ca. 700) and it became the home of St Cuthbert (ca. 634-687, abbot from ca. 665), who is buried in Durham Cathedral. Bamburgh is the historic capital of Northumberland, the "royal" castle from before the unification of the Kingdoms of England under the monarchs of the House of Wessex in the 10th century. The Earldom of Northumberland was briefly held by the Scottish royal family by marriage between 1139–1157 and 1215–1217. Scotland relinquished all claims to the region as part of the Treaty of York (1237). The Earls of Northumberland once wielded significant power in English affairs because, as powerful and militaristic Marcher Lords, they had the task of protecting England from Scottish invasion. Northumberland has a history of revolt and rebellion against the government, as seen in the Rising of the North (1569-1570) against Elizabeth I of England. These revolts were usually led by the Earls of Northumberland, the Percy family. Shakespeare makes one of the Percys, the dashing Harry Hotspur (1364-1403), the hero of his Henry IV, Part 1. The Percys were often aided in conflict by other powerful Northern families such as the Nevilles and the Patchetts; the latter were stripped of all power and titles after the English Civil War of 1642–1651. The county was also a centre for Roman Catholicism in England, as well as a focus of Jacobite support after the Restoration of 1660. Northumberland became a wild county, where outlaws and Border Reivers hid from the law. However, the frequent cross-border skirmishes and accompanying local lawlessness largely subsided after the Union of the Crowns of Scotland and England under King James I and VI in 1603. 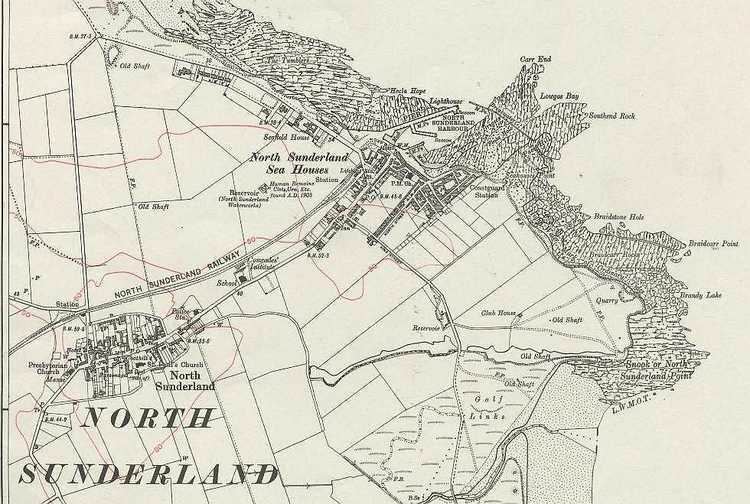 Northumberland played a key role in the industrial revolution from the 18th century onwards. Many coal mines operated in Northumberland until the widespread closures under Labour and subsequent Conservative governments in the 1970s and 1980s. Collieries operated at Ashington, Bedlington, Choppington, Netherton, Ellington and Pegswood. The regions coalfields fuelled industrial expansion in other areas of Britain, and the need to transport the coal from the collieries to the Tyne led to the development of the first railways. Shipbuilding and armaments manufacture were other important industries before the deindustrialisation of the 1980s. As of 2014 Northumberland remains largely rural. As the least-densely populated county in England, it commands much less influence in British affairs than in times past. 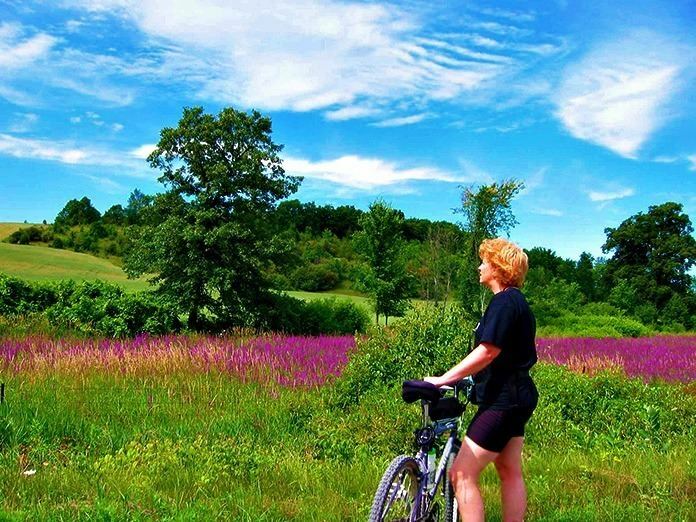 In recent years the county has had considerable growth in tourism due to its scenic beauty and the abundant evidence of its historical significance. The physical geography of Northumberland is diverse. It is low and flat near the North Sea coast and increasingly mountainous toward the northwest. The Cheviot Hills, in the northwest of the county, consist mainly of resistant Devonian granite and andesite lava. A second area of igneous rock underlies the Whin Sill (on which Hadrians Wall runs), an intrusion of Carboniferous dolerite. Both ridges support a rather bare moorland landscape. Either side of the Whin Sill the county lies on Carboniferous Limestone, giving some areas of karst landscape. Lying off the coast of Northumberland are the Farne Islands, another dolerite outcrop, famous for their bird life. There are coal fields in the southeast corner of the county, extending along the coastal region north of the river Tyne. The term sea coal likely originated from chunks of coal, found washed up on beaches, that wave action had broken from coastal outcroppings. Being in the far north of England, above 55° latitude, and having many areas of high land, Northumberland is one of the coldest areas of the country. It has an average annual temperature of 7.1 to 9.3 °C, with the coldest temperatures inland. However, the county lies on the east coast, and has relatively low rainfall, between 466 and 1060 mm annually, with the highest amounts falling on the high land in the west. Between 1971 and 2000 the county averaged 1321 to 1390 hours of sunshine per year. Approximately a quarter of the county is protected as the Northumberland National Park, an area of outstanding landscape that has largely been protected from development and agriculture. The park stretches south from the Scottish border and includes Hadrians Wall. Most of the park is over 240 metres (800 feet) above sea level. The Northumberland Coast is also a designated Area of Outstanding Natural Beauty. This is a chart of trend of regional gross value added of Northumberland at current basic prices published (pp. 240–253) by Office for National Statistics with figures in millions of British Pounds Sterling. Northumberland has traditions not found elsewhere in England. These include the rapper sword dance, the Clog dance and the Northumbrian smallpipe, a sweet chamber instrument, quite unlike the Scottish bagpipe. Northumberland also has its own tartan or check, sometimes referred to in Scotland as the Shepherds Tartan. 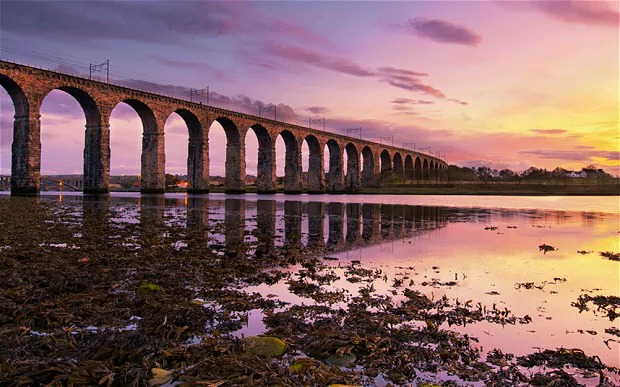 Traditional Northumberland music sounds similar to Lowland Scottish music, reflecting the strong historical links between Northumbria and the Lowlands of Scotland. One of the best-known is the stirring Chevy Chase, which tells of the Earl of Northumberlands vow to hunt for three days across the Border maugre the doughty Douglas. Of it, the Elizabethan courtier, soldier and poet Sir Philip Sidney famously said: I never heard the old song of Percy and Douglas that I found not my heart moved more than with a trumpet. Ben Jonson said that he would give all his works to have written Chevy Chase. Overall the culture of Northumberland, as with the north east of England in general, has much more in common with Scottish Lowland and Northern English culture than with that of Southern England. Firstly both regions have their cultural origins in the old Anglian Kingdom of Northumbria, this is borne out by the linguistic links between the two regions, which include many Old English words not found in other forms of Modern English, such as bairn for child (see Scots language and Northumbria). The other reason for the close cultural links is the clear pattern of net southward migration. There are more Scots in England than English people north of the border. Much of this movement is cross-county rather than distant migration, and the incomers thus bring aspects of their culture as well as reinforce shared cultural traits from both sides of the Anglo-Scottish border. Whatever the case, the lands just north or south of the border have long shared certain aspects of history and heritage and thus it is thought by some that the Anglo-Scottish border is largely political rather than cultural. Northumberlands county flower is the Bloody Cranesbill (Geranium sanguineum) and her affiliated Royal Navy ship is her namesake, HMS Northumberland.